We've decided to have an organizing weekend at our house. We're going to go through closets, drawers, and cabinets. I'm hoping by Monday morning I'll have lots to take to Consignment Stores, Salvation Army and Goodwill. I'm wanting to put some new tools in place at our house to stay more organized. I really am looking for ways to keep lists organized and up on walls where I can see them easily and they're always in the same place. 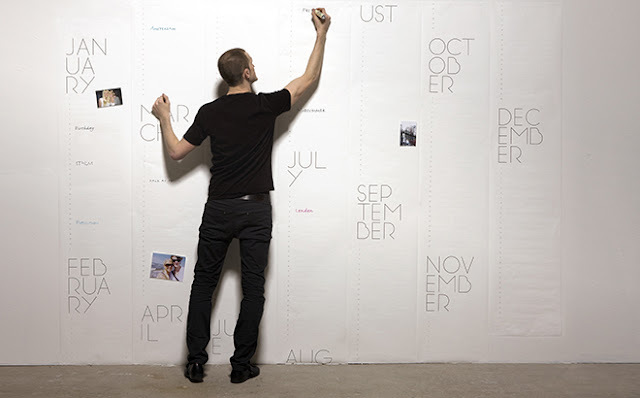 I'm also looking for effective large wall calendar solutions. Here are some interesting options. 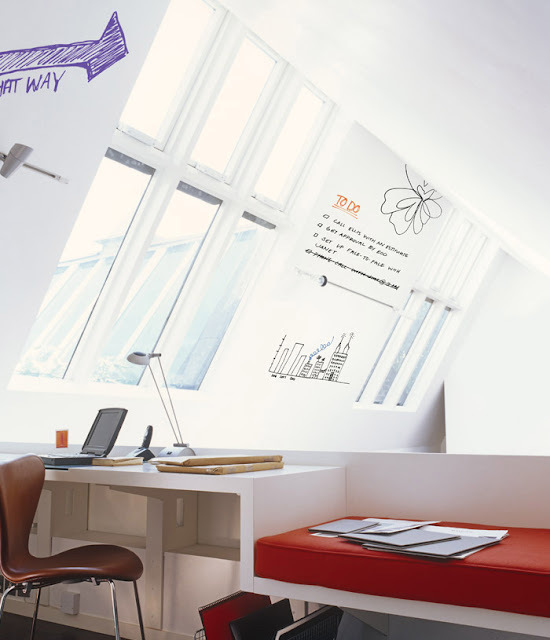 The four photos above are from the IdeaPaint website. Their paint will turn virtually any surface into a dry erase board. If you know anyone who's used this, I'd love to hear about it. This photo is from Linda at Calling It Home. I am very jealous of her as she can do basically anything you could ever think of. 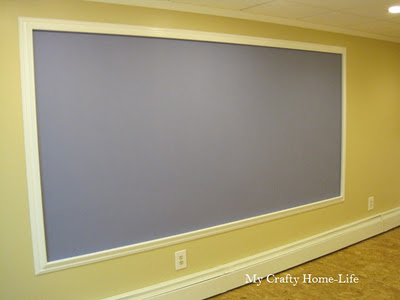 In this post, she explains how to create a magnetic chalkboard and then trim it out with trim that holds the chalk. She made this in her basement for her kids, but something like this could be also helpful in an office. This is calendar wallpaper available here. 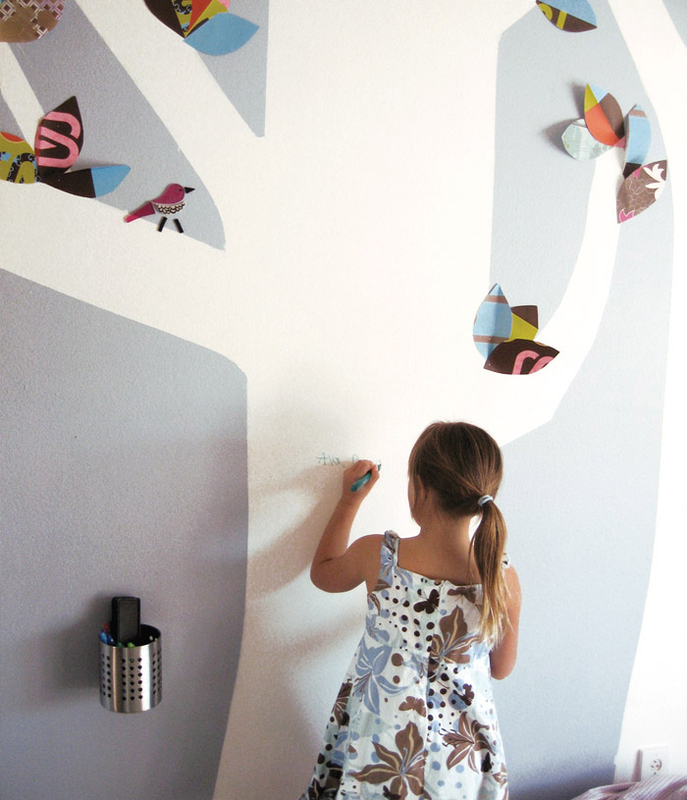 I love this idea except for the chalkboard dust. 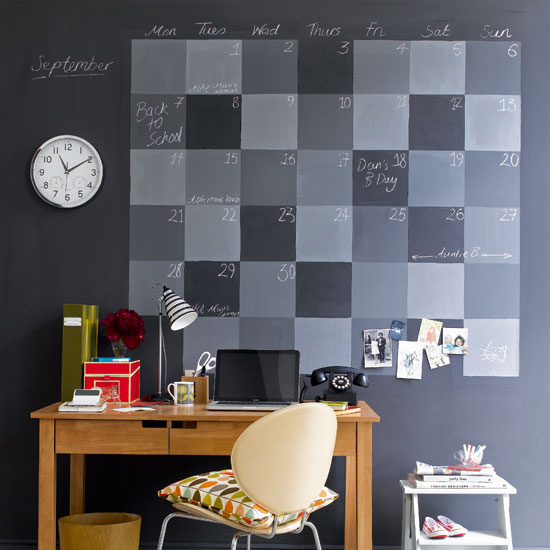 It's a blackboard calendar and a great DIY project.